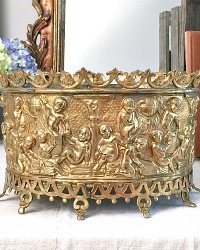 19th Century French Brass Oval Jardiniere, with an exceptional all over repousse design of cherubs or putti. 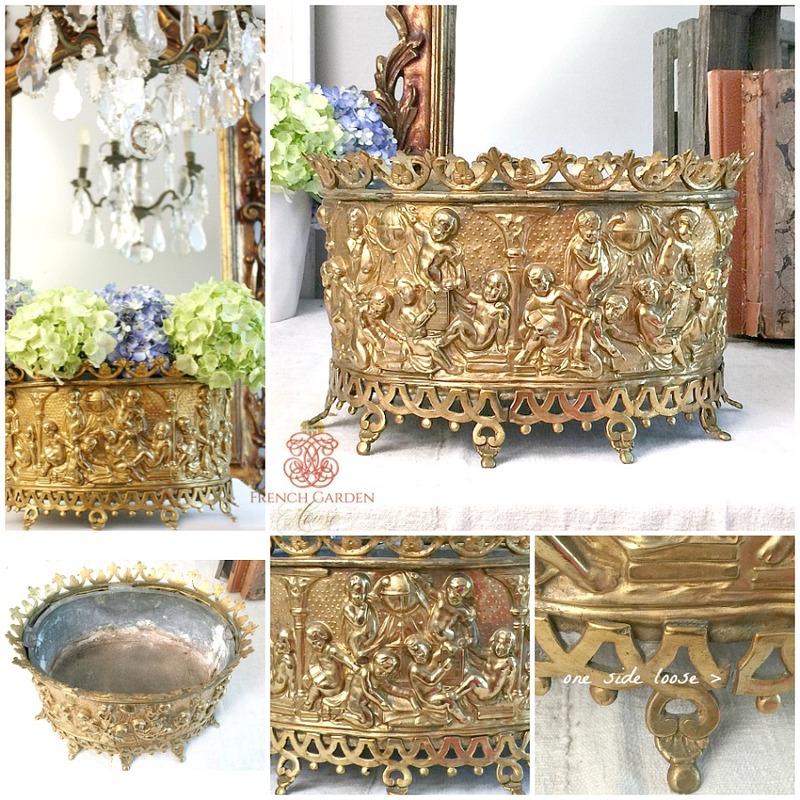 The original liner is still intact, this beauty has a gorgeous gilt glow, bright polished color and is beautifully decorative. 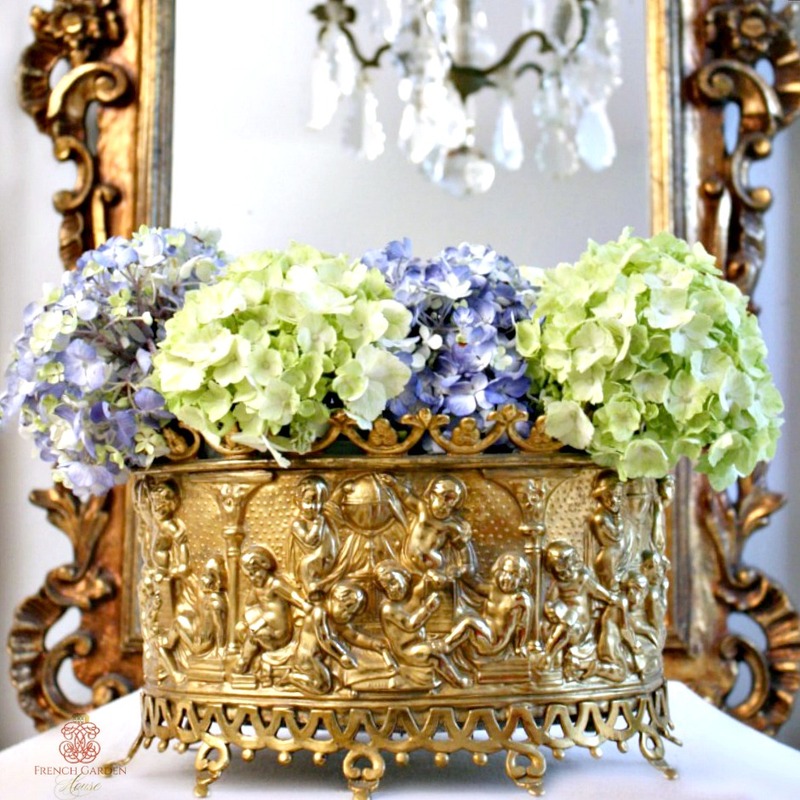 The perfect footed centerpiece for your elegant French Country table, entrance console, or living salon table. A sterling addition to your collection of jardinieres from the 1800's. 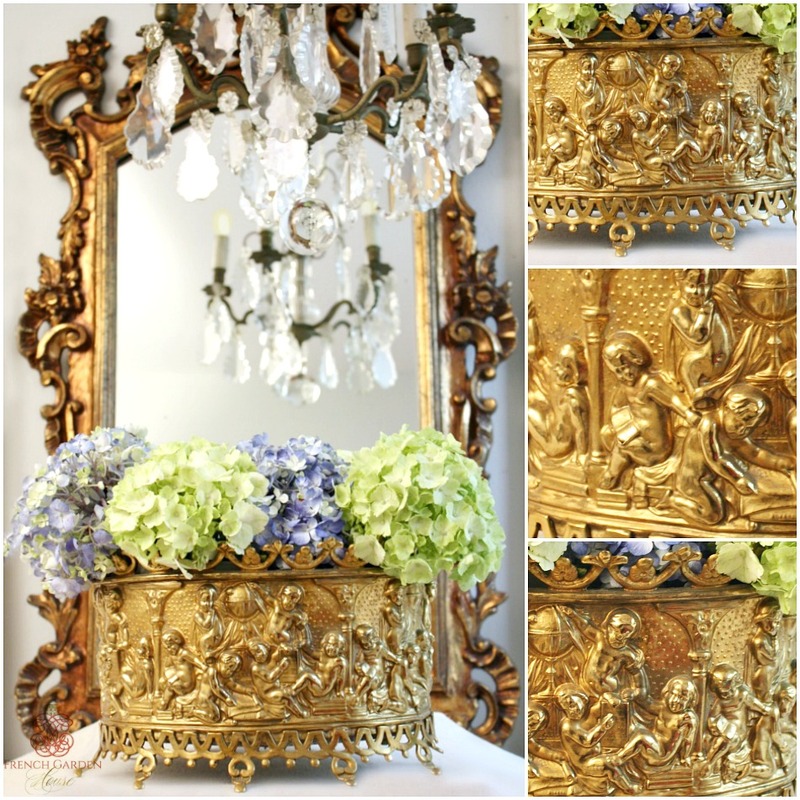 This planter has a reticulated top edge and bottom, cast feet. Over the last century or so one small part of the bottom has seperated as shown, this does not affect the sturdiness of the piece. Fabulous patina, will add personality and style to your home. Wonderful large size, display your prize orchids with pride, or fill with your favorite flowers for a centerpiece par excellence. Measures 12" x 9-1/2" x 8".